This dress was handed down to Julie from her mother. It had actually been her mom’s prom dress in the 60s and had so much potential, not to mention a cool story! 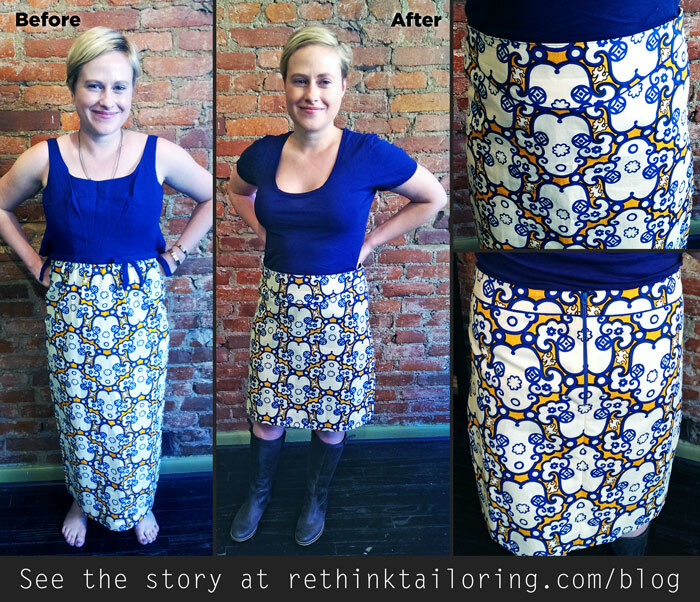 This piece is a perfect example of what to do when you get a hand-me-down from a person with a different body type. 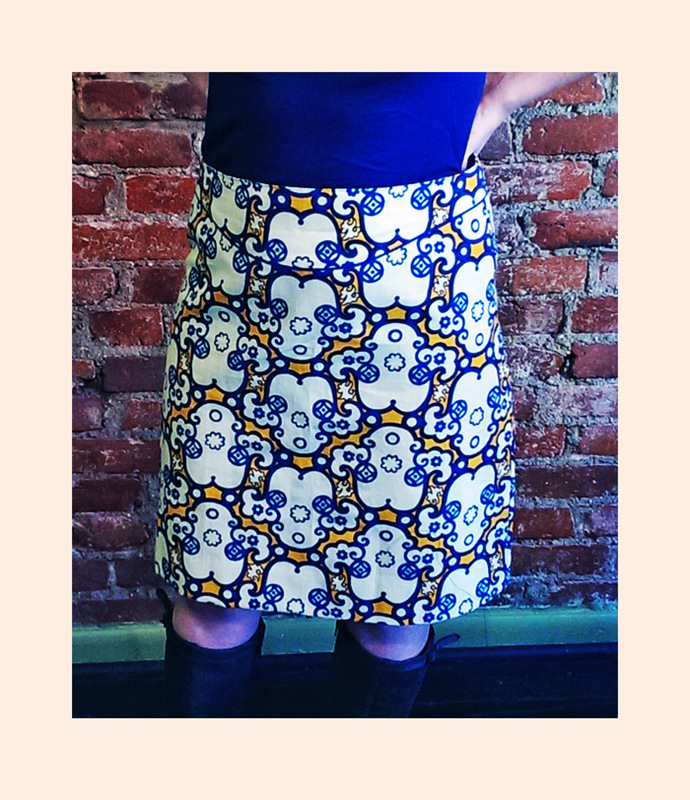 This dress was too small for Julie but there was enough fabric to make a staple skirt with a stylized waistband as Julie requested. You gotta love sentimental clothing!